The Vietnam Chamber of Commerce and Industry’s HCM City branch (VCCI HCM) and the Confederation of Norwegian Enterprise (NHO), on June 14, began a two-year programme for improving the quality of vocational training in aquaculture. Accordingly, between now and 2019, the NHO will help the VCCI HCM train 500 labourers for the sector in Mekong Delta and south central regions. Bui Thi Ninh, head of the bureau for employers’ activities at the VCCI HCM, said the programme aims to link enterprises and vocational training schools, and reinforce enterprises’ collaboration with training schools to create a skilled workforce that is able to meet the requirements of employers in the aquaculture industry. It also seeks to expand awareness of career opportunities in the field among parents and high school students, she said. It will be piloted in Dong Thap and Khanh Hoa provinces. 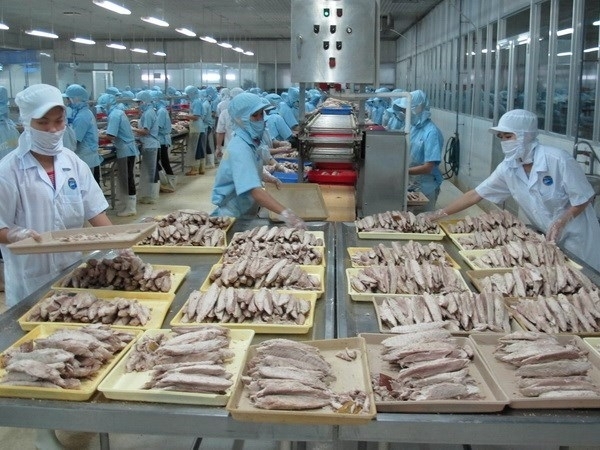 Speaking at the launch in HCM City on June 14, Vo Tan Thanh, director of the VCCI HCM, said fishery is one of the country’s key economic sectors, with aquaculture and fishing output exceeding 6.7 million tonnes last year and export earnings reaching 7 billion USD. The industry employs around nine million people directly and indirectly, but more than 60 percent are unskilled, he said. Tore Myhre, director of NHO’s International Department, said investing in skills development, especially vocational training, is important to improve the productivity and profitability of enterprises. Aquaculture is a sector that is growing in importance for both countries, he said. NHO and VCCI, together with Vietnamese and Norwegian industry players, have identified a need for more skilled and productive operators in their value chain from production to processing, he said. “The current availability of vocational training for the aquaculture industry is limited despite an increase in demand for human resources. “The aquaculture industry is also becoming more technically advanced, which increases the demand for skilled workers. “Working in aquaculture is by many perceived as a low-status job often associated with heavy manual labour. The industry is however in rapid development, and needs to attract motivated and skilled young professionals. The project would address this through various career guidance initiatives, he said. Thanh said since 2010 the VCCI HCM, with technical support from NHO, has co-operated with the Dong Nai College of High Technologyand companies in Dong Nai province to pilot a training programme in mechanical engineering and hospitality. Ninety seven percent of students from this training programme have got jobs after graduating, with their training quality deeply appreciated by employers, he said. Following its success, NHO and the VCCI HCM have expanded their co-operation to the aquaculture sector, he added.